Radio National is the most popular radio station of Australia, which is broadcast on about 260 frequencies all around the country. The Radio National is a division of the Australian Broadcasting Corporation, which airs various programmes on arts, music, science, drama, comedy, religion, health, social history, poetry, radio dramas, current affairs and a wide variety of programmes. 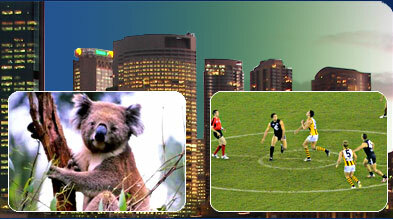 Radio National has been entertaining the Australian audience for a long period of time. The history of Radio National dates back to an early period of time and has had quite an interesting past. The first station of Radio National, 2FC started its broadcasting schedule in the year 1923 in the Sydney city. The 2FC station symbolised Farmer and Company, which was the original owner of Radio National before it was taken over by the Australian Broadcasting Corporation. Radio National started broadcasting in the year 1938 in the Australian Capital Territory. However, Radio National was officially incorporated in the Australian Broadcasting Corporation in the year 1939. Due to its lower frequency it broadcast the regional programmes of Australia, unlike ABC Canberra, which broadcast only indigenous programmes. The Radio National was initially known as Radio 2 and was broadcast to all major metropolitan cities of Australia since the year 1980’s. In the year 1985, Radio 2 was renamed as Radio National by the Australian Broadcasting Corporation. All the Radio National stations have the same format which is symbolised by *RN, where the appropriate number of the state is depicted by the * symbol. Some of the popular Australian shows broadcast on Radio National belonging to these categories include Lingua Franca, Comedy, Movie Time, Airplay, The Book Show, Encounter, EdPod, All in the Mind, Into the Music, The Night Air, Lifelong Learning, The Alfred Deakin Lectures, The Philosopher’s Zone, Verbatim, The Science Show, Children of Heaven, New Dimensions, Crime and Punishment, Crime Time, A World Without Waste, The Sports Factor, Torn Curtain, The Sports Factor and others. The latest feature of the Radio National is the podcasting and mp3 player facility, which allows the listeners to download their favourite music on their mobile phones, PCs, mp3 players with the help of podcasting software. The Radio National is one of the most happening, widely popular radio station of Australia, which has delivered quality, programmes for the past many decades and still continues to maintain its glory.